Minimum Wage: Just a reminder that the Labor, Commerce, Research and Economic Development Committee will hold public hearings this Wednesday on tip credit and minimum wage bills, starting at 10 am. Committee chairs have provided guidance for those planning to testify as to how the day will proceed. I have included that information below. 1) Testimony during the morning public hearing is not appropriate if it is solely in regards to the minimum wage bills scheduled for the afternoon. However, testimony pertaining to both the tip credit and minimum wage bills may be given in either the morning or afternoon public hearing. 2) Those wishing to testify that have not already signed up to speak through an organizer will be asked to sign in at a table outside the LCRED Committee Room (Room 208, CSOB). 3) In the event that the LCRED Committee room is full, overflow seating is available in Room 220 of the CSOB and in the State House Welcome Center. 4) Each member of the public may speak only once, with a 3-minute time limit. Additional time will be permitted in order to answer any questions from the Committee. 5) If you wish to provide written material to the Committee, please provide 25 copies. 6) Members of the public will be called to testify in the order in which they signed up; however, the order may be alternated between those speaking for and those speaking against. We strongly encourage those of you impacted by changes to minimum wage and the tip credit to contact committee members and to provide testimony on these bills. For more information on the bills and contact information for the committee, please click on the provided link: http://legislature.maine.gov/committee/#Committees/LCED. Lodging Tax Update: On Wednesday, the Taxation Committee voted on the lodging tax increase as proposed in the biennial budget. The Committee did not take final action on the sales tax expansion. Unfortunately, members voted 10-3 in favor of increasing the lodging tax rate to 10%, starting October 1, 2017. Those members who voted against the increase were Representatives Steve Stanley, Joyce McCreight, and Gay Grant. It is important to note that this vote is a part of the Taxation Committee’s report back to the Appropriations Committee. The Appropriations Committee may choose to either accept that recommendation, change the start date, or reject the increase altogether. Since the final budget package won’t be reported out of the Appropriations Committee until the end of May, there is still time to contact your local lawmakers and committee members to let them know of your objection to these tax increases. LD 701 creates the Maine Paid Family Leave Insurance Program to provide wage-replacement benefits to persons who qualify for family medical leave, funded through employee contributions. Funded through employee contributions, it provides 2/3 of a person’s average weekly wage or 100% of the state average weekly wage (whichever is lower) for up to 6 weeks in any 12-month period. Committee members split their votes on the proposal, with seven members voting in favor of the bill and six voting against it. Since the legislation directs the Department of Labor to administer the program, there will be a fiscal note attached to the majority report before it heads to the House Chamber. Increase the gas tax by 7¢ per gallon, to 36.5¢ per gallon, beginning October 1, 2017. Maine’s tourism market continues to be a “drive market” where a majority of visitors travel to our state in vehicles using our highway system. There is an expectation, as rightly so, that the roads that they travel on are well-maintained. We certainly support a mix of funding solutions that are paid for by users of our transportation systems to help meet our $200 million annual infrastructure needs. 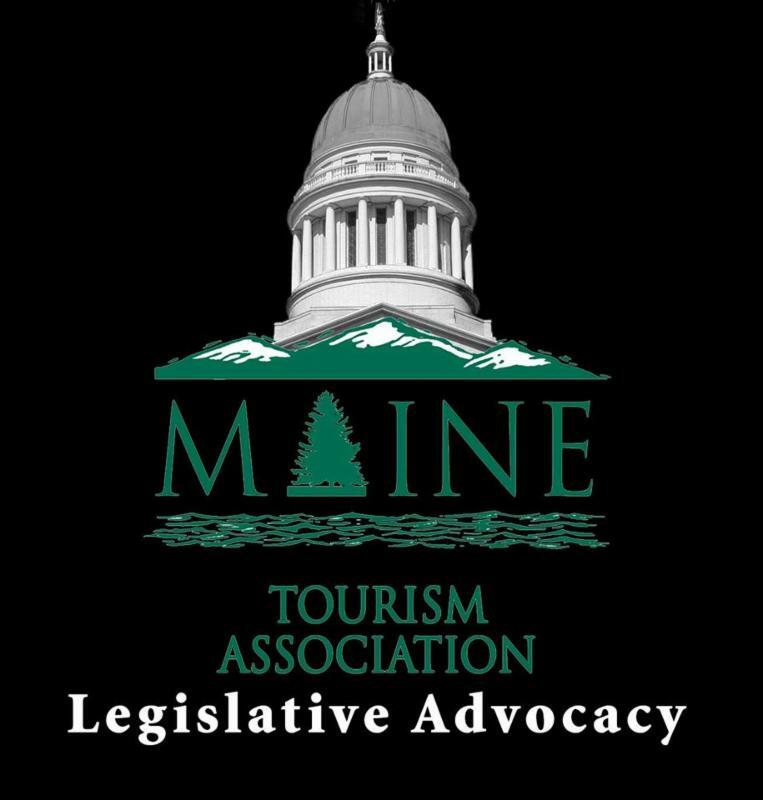 Maine Tourism Association Advocacy Program. 623-5646, by cell at 207-897-8077 or email at djohanson@mainetourism.com.